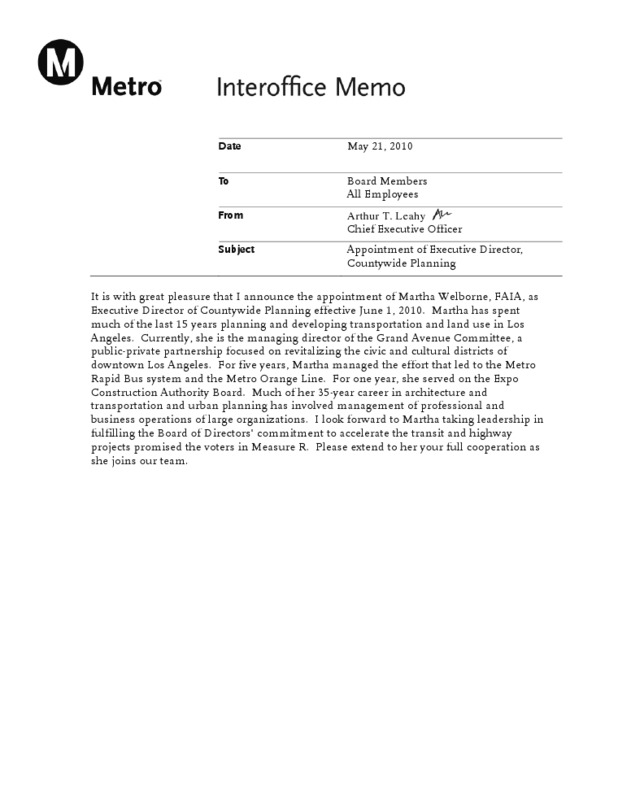 Metro CEO Art Leahy announced today that Martha Welborne has been hired as the new chief planning officer for Metro. Welborne is an architect who has been working with the Zimmer Gunsul Frasca firm in Los Angeles (here’s the firm’s bio of her) and also has been serving as the managing director of the Grand Avenue Committee, among other accomplishments. She has worked in mass transit circles for quite some time. In 1999, Welborne arranged for a trip to Curitiba, Brazil, where Los Angeles Mayor Richard Riordan and Supervisors Zev Yaroslvasky and Yvonne Burke could see firsthand that city’s famous busway system. As a result, Riordan pushed for the beginning of the Metro Rapid bus lines and Yaroslavsky led the agency into developing the Orange Line busway in the San Fernando Valley.